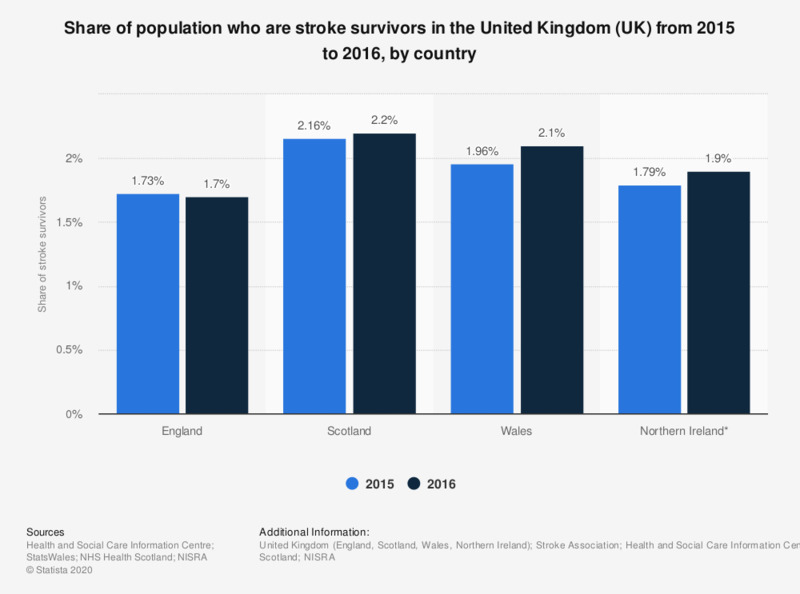 This statistic displays the share of people who have survived a stroke in the United Kingdom from 2015 to 2016, by country. There were over 1.2 million stroke survivors living in the United Kingdom in 2015. In England, 1,7 percent of the population survived a stroke as of 2016. * Northern Ireland 2015 data is from 2013/14.